Ride the Machine: Michael Hansen's Mantis. 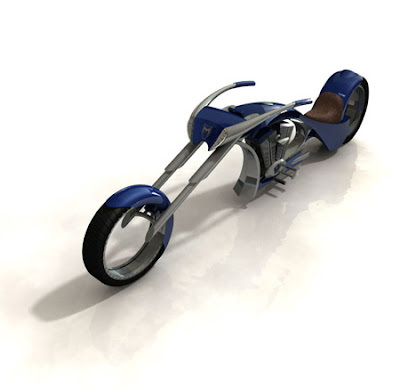 Designer Michael Hansen's Mantis motorcycle concept takes advantage of existing technology to create a more aesthetically simple design to the modern chopper style bike. 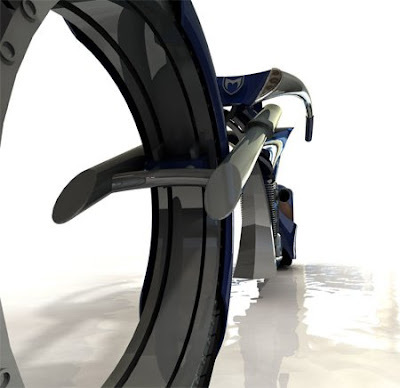 The hubless wheels create a simple feeling to the bike that is continued throughout the whole design. Each piece of the bike is designed to flow together to create a bike that looks fast and sharp, even when the bike isn’t moving. Well, what do you think? We are still curious with the hubless wheels design, is it really possible ? Let’s see if this motorcycle ever goes into production." It looks cool but it probably doesn't turn and corner as well as a motorcycle should. i'll take an old Vincent Black Shadow any day over as piece of art,i like riding not crashing.